Do you love the look of a round baby crib but wonder if it’s the right choice for your child? This familiar dilemma is one faced by many new parents. In our comprehensive article about round baby cribs, we’ll help you to understand everything you need to know about why so many people love round cribs, but also point out some of the common pitfalls of these cute baby beds. Our handy buyer’s guide will equip you with the information you need to select the perfect round crib for your little bundle of joy. 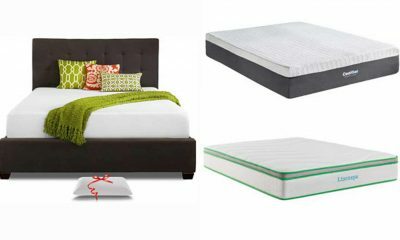 Even better, we’ve reviewed our top 6 product picks to give you plenty of buying inspiration for your new purchase. 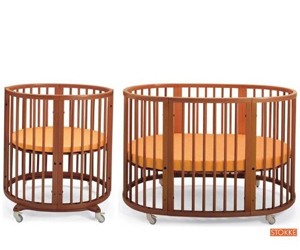 Here are the latest reviews of the 3 best circle baby cribs in 2019. The Dream on me Sophia Posh circular crib is an unique baby crib available on the market and, this crib also comes with four extended stands which will eventually help you in installing the crib canopy to it. The Dream On Me Sophia Posh Circular Crib gives your kid’s nursery a whole new look of elegance. The design looks very royal-like and gives you a feel of the great Victorian era. The crib body is entirely made of solid wood. You can decorate with laces and white satin clothes to give it the extra look of sophistication. The circular crib allows the parents a better view of their child’s activities. 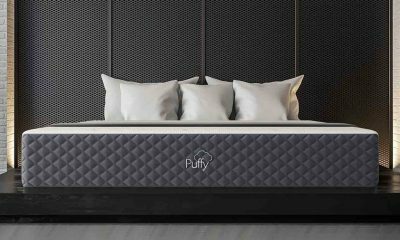 The mattress that fits it comes separately. The mattress is round shaped and fits the crib like a dream. The crib also comes with a railing which is specially made to ensure the extra safety for your baby. 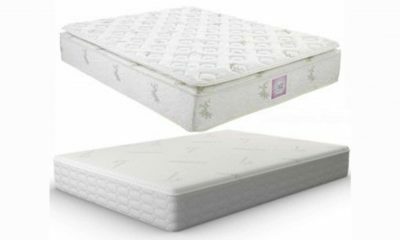 A few of the most prominent features of the Dream On Me Sophia Posh Circular Crib have been given below. 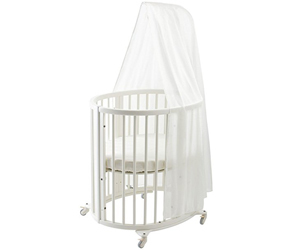 The canopy frame is the added advantage of Dream On Me Sophia Posh Circular Crib. The frame is made with solid wood and can house any kind of attached canopy to the crib. The railing is also very useful and protects your kid from falling out of the crib. 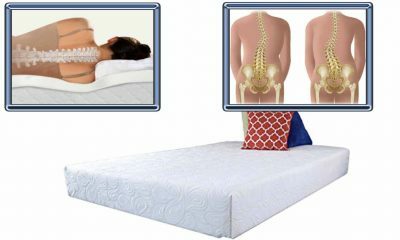 You can also adjust the height of the base of the crib and the attached mattress with it. This gives you the desired depth of the crib according to your baby’s size and age. The crib can be easily adjusted according to the growth of your baby. The inexpensive round baby crib also comes in a wide variety of colors. The colors include a shade of pink, coffee, brown and white. That gives you the great option of choosing the crib according to your kid’s gender. You would not need to worry about repainting it as the paint is also world class. Another great feature of the round baby bed is its durability. You can easily use it for your future kids or even donate it to your friend or family member who will be expecting a baby. This product comprises as a great gifting option. Go for this product if you are looking to install something classic and something that will perform as well. 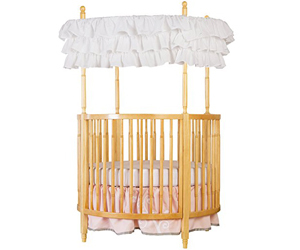 This is also the one of the best cheap round cribs available in the market. 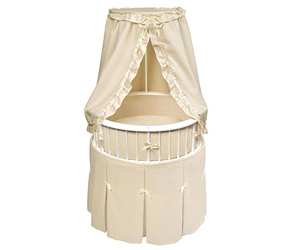 The product, named Elegance Bassinet is one of the most unique and charming round cribs that you will get for your newborn. The crib is specially designed to provide your kid with the utmost comfort. The bedding assembly also includes a lovely and gorgeous skirt and a beautifully elegant drape canopy. The mattress comes along with the set. The canopy is also height adjustable, giving you the extra space for your child. The design of the product is the best feature of it. It looks beautiful with the full lengthskirt and draped canopy that covers the structure gracefully and gives your kid a look that you will cherish for your entire lifetime. The basic structure is made high quality of wood which is smoothed out so that your kid does not get exposed to any rough or sharp edge. 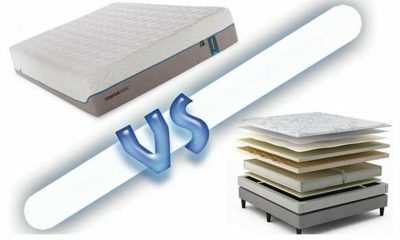 The mattress also comes with the product and you would not need to buy it separately. 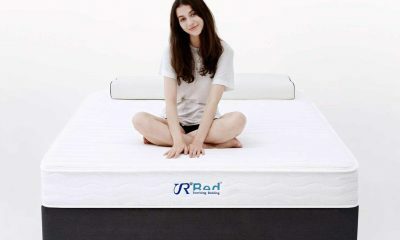 The mattress is round shaped and is very much comfortable. Your kid will sleep like a little angel in it. 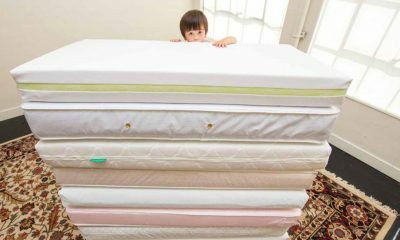 The height of the crib can also be adjusted and you can give it a greater depth when your kid gets a little bit older. There is another great feature of this product and this is the extra storage space you get along with it. You can store all the necessary food, milk and medicines along with the diapers, wipe clothes, towels and clothing that your child needs everyday in the great storage space under the crib. The crib is also powered with caster wheels which give it the extra mobility. You can easily move it between rooms although the crib will not go through the standard doors and you will need to uninstall it before moving to another room. This crib is great in design as well as performance perspectives. Buy it if you are looking for the extra great crib for your kid. If you are looking for round baby cribs for sale, even then, this product will serve your purpose. 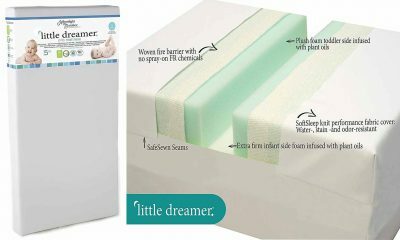 Treating your little darling baby with a beautiful crib was never this easy. The Baby Doll Darling Round Crib comes with a beautiful doll like design which also provides the utmost care and comfort to your baby. It has long drape like design making it a standout product. This crib also comes in a variety of colors. This product includes a set of comforter, bumper, canopy and elegant big sized bows. The design is ideal for your little princess but with some alteration in the design, you can also use it for your little prince as well. The product has excellent fitting and can fit almost anywhere. The clothing portions and fabrics are machine washable. The color is sturdy and there is no chance of the color getting fade in a few washes. This product is entirely made in the United States of America which means that the suppliers will not need to import it. This helps in keeping the price of this product checked and making it affordable to the greater section of customers. 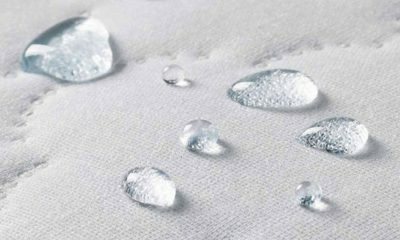 The fabrics are specially made from high end cotton. The canopy and the gorgeous oversized bow are made of the similar gingham cotton fabric giving it the extra look of elegance that you will simply fall in love with. In design aspects, nothing can beat this product. The looks are super elegant and will add the extra beauty to your kid’s nursery. If the previous product was ideal for your baby girl, then this will definitely be the best one for your boy kid. The design is especially made to suit the mood of a boy. The color of the product is predominantly blue and has black and other darker shades in the design. Like the previous product by Baby Doll, this product too can fit almost anywhere you like. 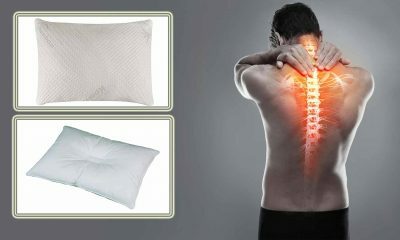 The prime four features of this product has been discussed below, have a look at them. 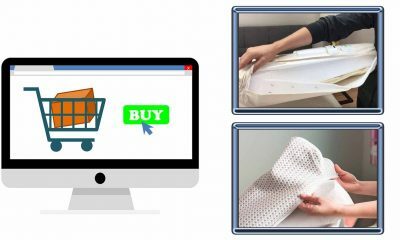 The fabric is made from 35% cotton and 65% polyester or is entirely made from 100%} polyester; you have the choice to choose the fabric from these two variants. It is advisable to choose the fabric which has some cotton mixed with it. The set comes as a complete package with the mattress, blanket, drapes and the canopy along with it. You would not need to go in the market and search any of the associated products. Moreover, the products have the similar design making the whole set a spectacular one. The set also consists of a bumper which works as a protective shield preventing your child’s head from hitting the hard wood of the crib. The material of the product is soft and would not cause any kind of skin irritations to your child. If you are looking for the perfect design for your baby boy, then this product is the ideal for you. The cost is also kept pretty minimal and you just afford it easily. The structure is sturdy and comes with four easily adjustable height positions. This gives you the option to adjust the depth and the height of the crib according to your child’s growth. The main structure has soft and round corves, eliminating the chances of any unfortunate accident. The crib also houses four wheels which gives it the extra feature of mobility. You can also enlarge the structure turning it to a full bed like assembly. 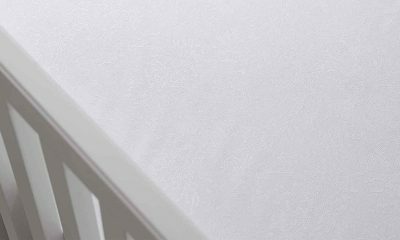 This product can also be shrunk into a smaller structure which helps you in moving the crib through smaller doors and corridors. The product is pretty lightweight and the assembly procedures are very easy. 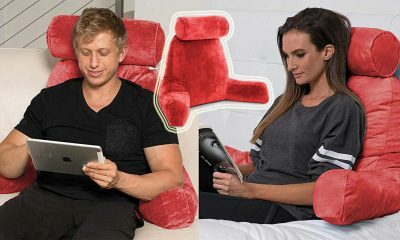 You can easily assemble the product in your room. 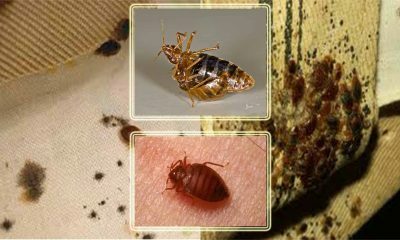 The structure is also pretty solid and the chances of any kind of breakage can easily be nullified. The crib also comes with a soft and comfortable inbuilt mattress. This also has a canopy drape rod which you will not need to buy separately. You can mount almost any kind of attached or ceiling canopy to this crib. 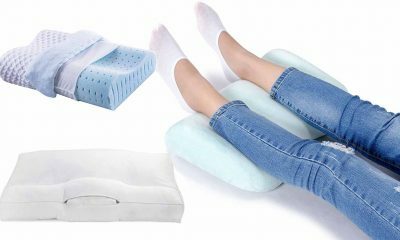 You can be sure about this product if you are looking for something that will give your child the required safety and comfort. Stokke Sleepi Mini/Crib System is an innovation in its own way. 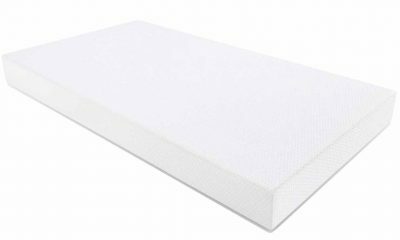 This product comes with an inbuilt mattress which eliminates your tensions regarding finding the mattress that may fit the crib the best. The crib has high railings which gives you the extra sense of protection for your kid. The railing ensures that the kid does not go out or fall out of the crib while you are not looking at it. The shape of the crib is also very unique. The oval shape gives your kid the freedom of sleeping keeping his head any direction he wants. Below we have discussed in brief four of its most unique features. 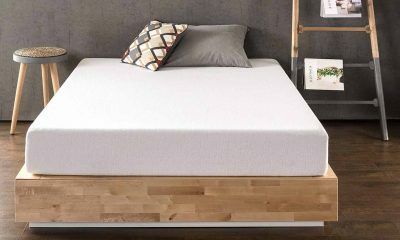 The first thing about the crib that will grab your attention is the inbuilt mattress. This is made with a combination of two 4 inch mattresses. 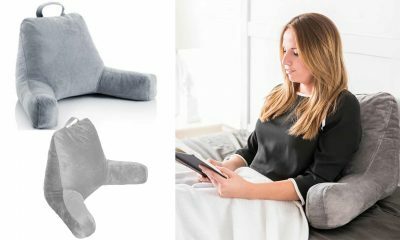 This provides enough support and comfort to your kids. 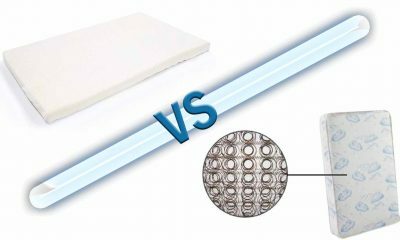 Moreover, this special foam of the mattress dries quickly and is self ventilating, removing any chance of bad odor. The crib is basically a convertible crib. This means you don’t have to put it in the storeroom or resell it once your kid gets a little older. You can change the height and the depth of the crib pretty easily. When the baby gets old enough to stand on its feet, you can remove the railings and give him a bed rather than a crib. The sides of the crib can also be increased depending on the growth of your kid. The adjustable railings are the next beast feature of this crib. You can remove or reinstall the railings according to your needs. The railings are made with wood, giving it a sophisticated look. The sides and edges of the railing has been smoothed so that it can’t harm your children or become the cause of any unfortunate accident. The size and shape of the crib is also a great feature of this. The size gives your kid some great comfort and a soothing environment while sleeping. Your kid can change its posture and this crib makes sure that your child does not get hurt doing so. Overall, this Stokke Sleepi Mini/Crib System is an ideal product for your child. The materials are non toxic and they would not create any allergic or some other reactions to your child’s body. This product is a standout in the category of round baby cribs. Round cribs can be the best option for your baby particularly because; it can be easily moved all along the house. These cribs are also quite easier to carry and there are no possible edges that press against your body. As your little kid starts moving, you’re likely to be worked up about the edges and corners. Well, this is exactly why you need a round crib. These cribs don’t come with any edges and are perfectly safe. On top of that, they also take up much less space and can be accessed on a single go. So if you’re looking out for a crib which is both flexible and safe, round cribs can be the best bid. Should You Buy a Round Crib? If you care more about the aesthetics and are looking for a vintage and classy baby crib, a round baby crib can be a great option. These cribs can also be viable if money is no bar. Again, if you’re looking out for a flexible, sturdy and elegant looking crib that’ll last in the long run and will also be available in an affordable range, the regular shaped ones canbe the best bid. 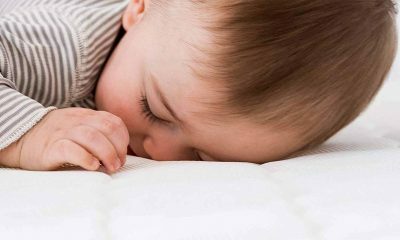 Is a Round Crib the Right Choice for Your Child? Remarkably different from the conventional square and rectangular cribs, the round cribs are much more functional and are also easily portable. On top of that, these cribs are also completely secure in your reach and comfortably fit along your body. This is tad more relevant, when you’ve got to move the crib or place it in a sleeping platform. The best part is that, your little one will not outgrow the round crib and will comfortably snuggle in it. 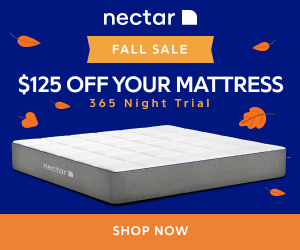 How to Find an Affordable Baby Crib? Your little ones spend their first couple of months in a crib, thus, it is indeed essential for you to find a comfortable and safe baby crib for them. Likewise, you should also ensure that your chosen crib is highly affordable. In order to do that, explore the different kinds of cribs and their prices. Rectangular and square cribs can be tad more affordable than round cribs. 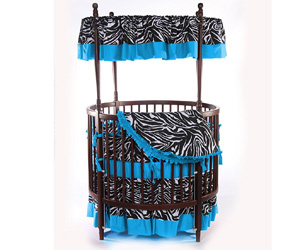 However, there are certain auctions where round cribs too are sold at affordable prices. Explore your options and compare the prices of similar cribs in order to end up with the most flexible, functional and affordable baby crib. How to buy the Right Round Crib for Your Baby? While buying a round crib for your baby, the first thing that you need to take care of is the necessary space. Make sure that the crib you opt for has ample space for your little one to snuggle in. At the same time, you also need to take note of the assembly options of the crib. Most cribs are likely to come unassembled, as manufacturers do not assemble the cribs to avoid shipping charges. In these cases, make sure that the assembling is easy and hassle free. Apart from this, you should also ensure that the crib you’ve opted for comes with an adjustable mattress height and a teething rail. It should also have a standard size and perfectly fit in your room. Circular baby cribs are widely popular because they are one of the most non extravagantvariants of baby cribs. These cribs come with a simple yet sturdy structure. On top of thatthey also last long. Due to this reason, many newbie parents prefer circular cribs over the alternative options. Just like the numerous benefits, round cribs also come with a couple of disadvantages. One of the main issues with these cribs is that they can be outgrown easily. At the same time, it is also quite difficult to find the perfect accessories for these cribs. Many people have further noted that the modern décor doesn’t sync with the conventional style of this crib. Lastly, the most significant disadvantage of using round cribs is their extravagance. Due to this reason, many people go for the circular and rectangular ones over round cribs. Widely popular as the lifetime cribs, the convertible cribs are designed to eventually grow with your little one. These cribs are highly beneficial as they come with a standard size, a day bed, a bed for your toddlers and a single or twin sized bed. These cribs can turn out to be cost effective and they do not need any trims or designs with time. Likewise, they are also long lasting. Round cribs on the other hand, are unconventionally looking cribs. They have an unusual design and come with a canopy. Convertible cribs are always better than round cribs as they are long lasting, cost effective and easy to fit in. Rectangular cribs are widely popular as they come with standard size and design. They are widely spacious and last for a considerable amount of time. These cribs are also widely available at easy and affordable rates. Round cribs on the other hand, are comparatively smaller than the rectangular ones. This means, you might have to splurge in a new crib after the old one is outgrown. This increases your expenses and round cribs are generally more extravagant than the rectangular ones. 1. Take ample care of your health. Unless you follow a healthy lifestyle, you will never be able to manage your little one, just the way you want. 2. Regular sleep deprivation takes a toll on your health and mood. So, if you want to take proper care of your little one, make sure you sleep at least 8 hours a day. 3. Spend quality time with your child, but don’t forget to keep some time for yourself. Remember, your personal needs can never disappear as soon as you have a baby. 4. Accept help as and when it is necessary. Taking help from others once in a while, will ensure a better development of your little one. 5. Do not neglect your social life and spend ample time with your partner.